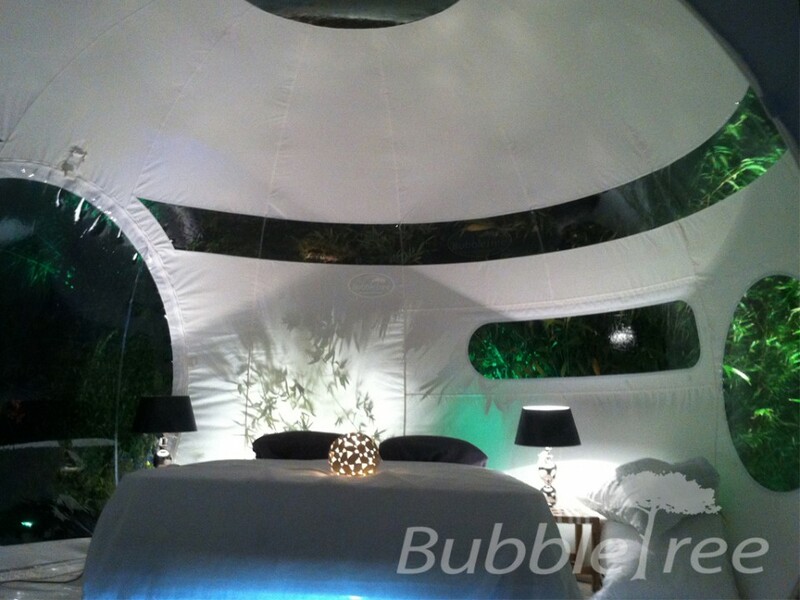 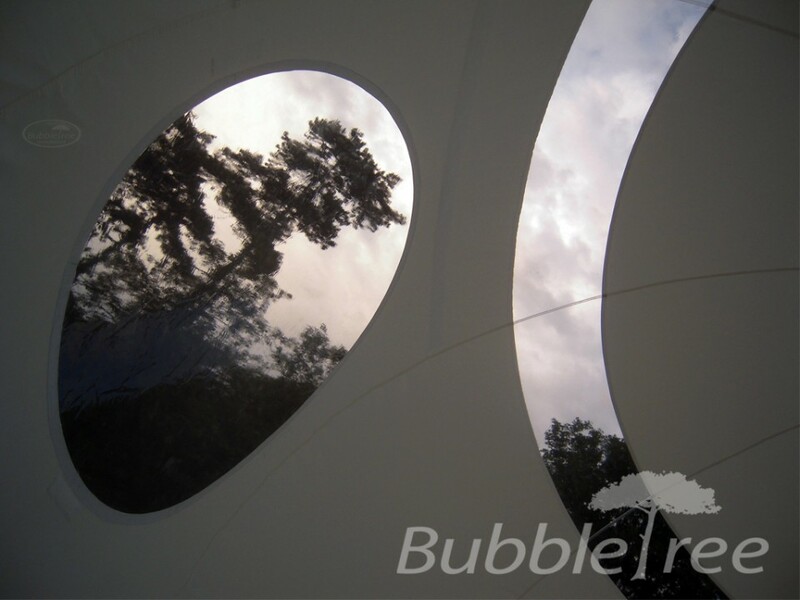 Less exposed to the outside, BubbleDrop is conceived to let you refocus on yourself. Besides the compact zenithal and annular windows letting the light drop inside the Bubble, the sphere and its openings are opaque. 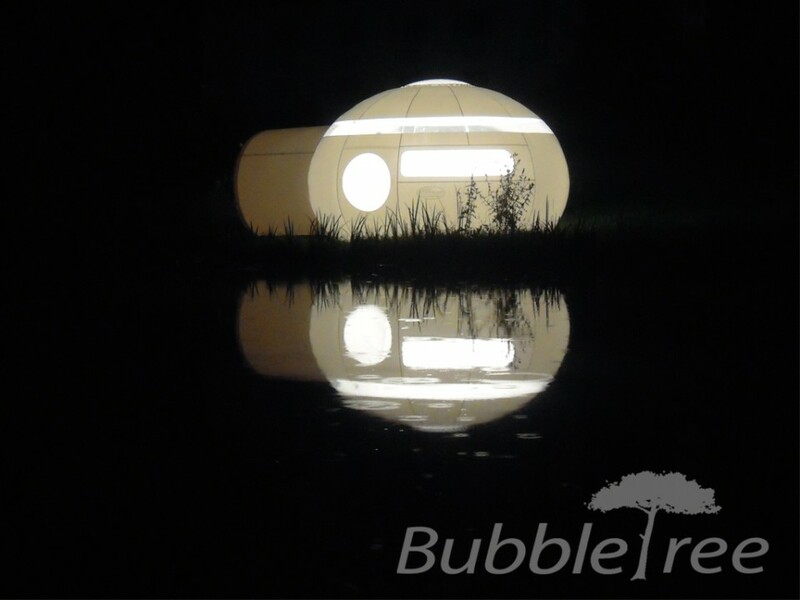 Playing with the round shape, the design of BubbleDrop outlines the maternal and cocooning aspects of this unusual accommodation. 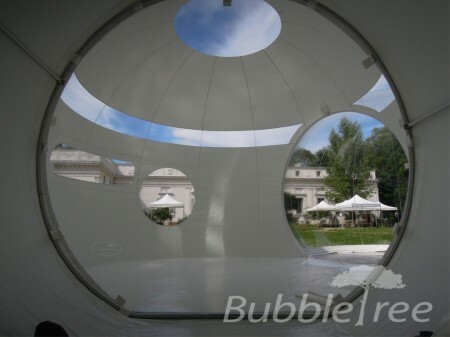 That, combined with the soft acoustics effect created by the spherical form, enables BubbleDrop to awaken your senses and bring well-being and relaxation. 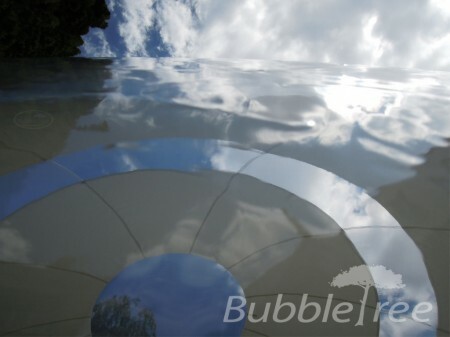 For areas with strong sunlight, BubbleDrop is available in a «thermal shield» version protecting from 99% of heat. Consult BubbleTree for more details. 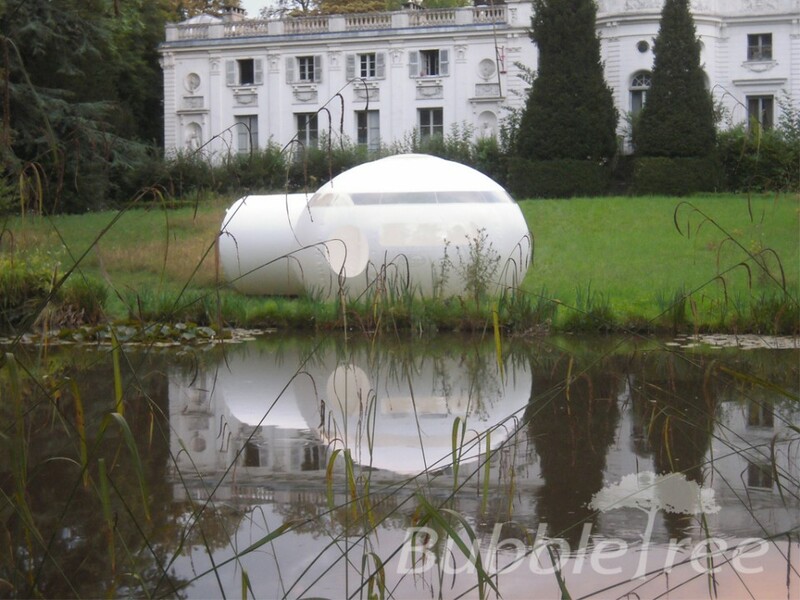 This cocooning sphere invites to meditation in the white space inspired by the art deco style and the creations of Courrèges.